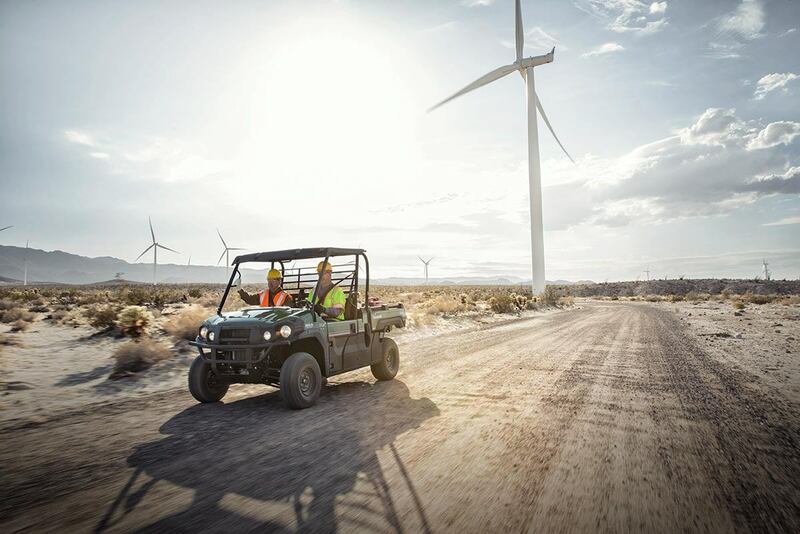 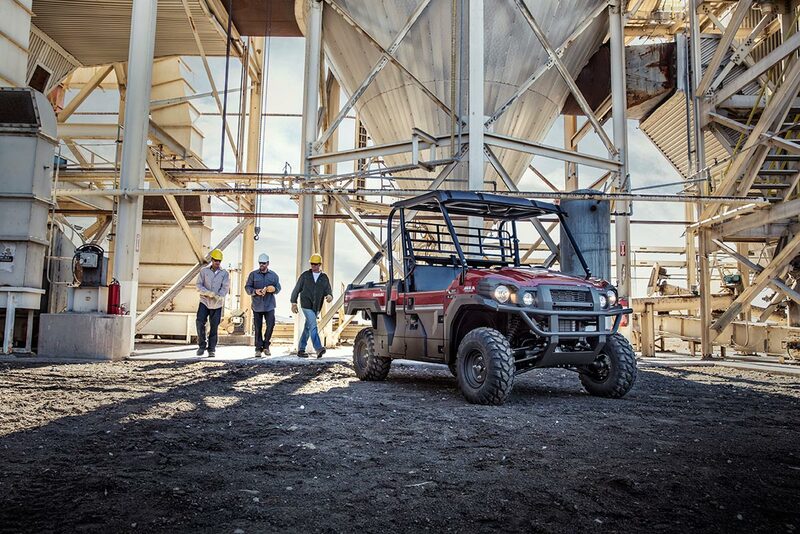 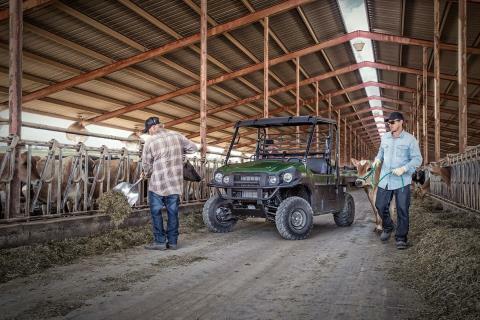 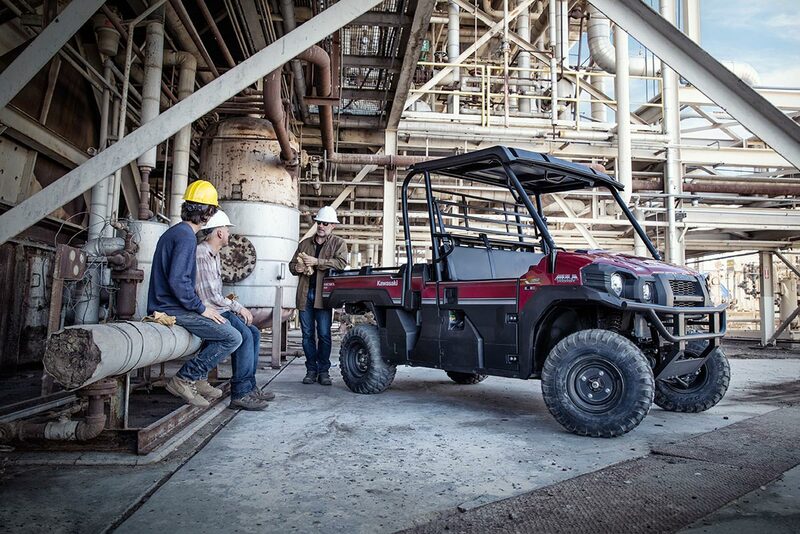 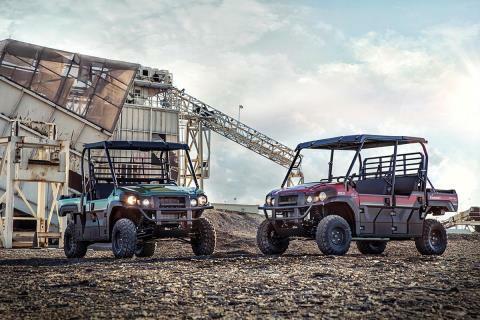 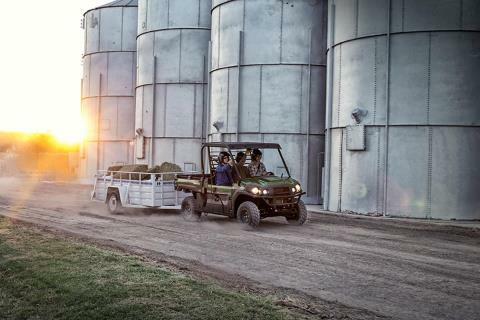 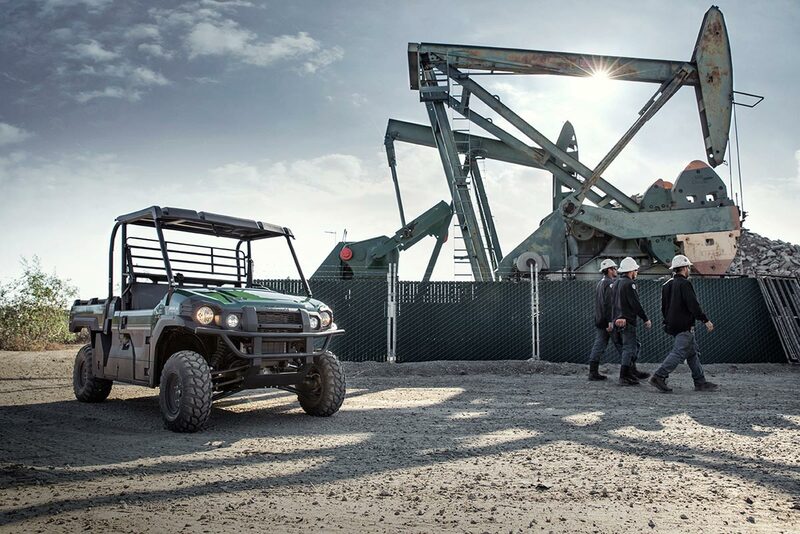 The newest edition to the MULE™ family, the MULE PRO-DX™ side by side, is our powerful, most capable diesel MULE side x side ever. 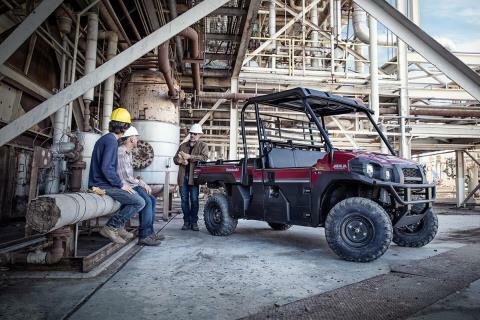 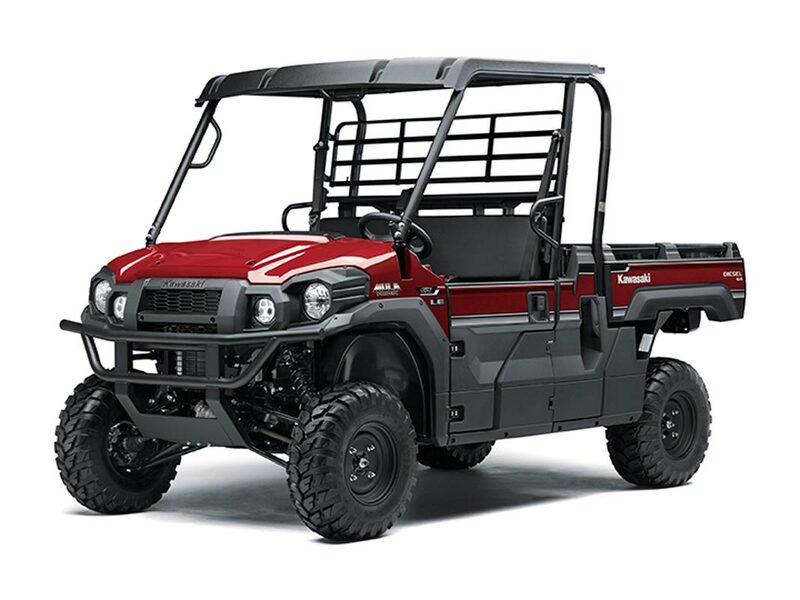 Built on the same rugged platform as the MULE PRO-FX™, this innovative side x side comes equipped with the largest cargo bed in class all while offering comfortable full-size three-passenger seating. 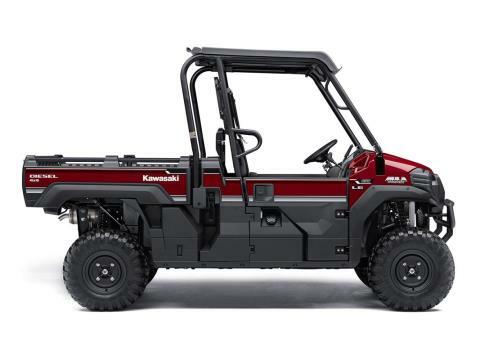 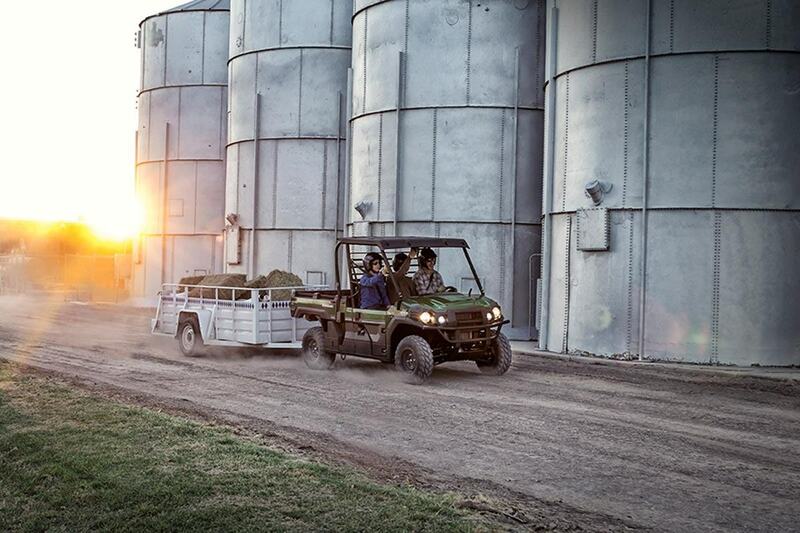 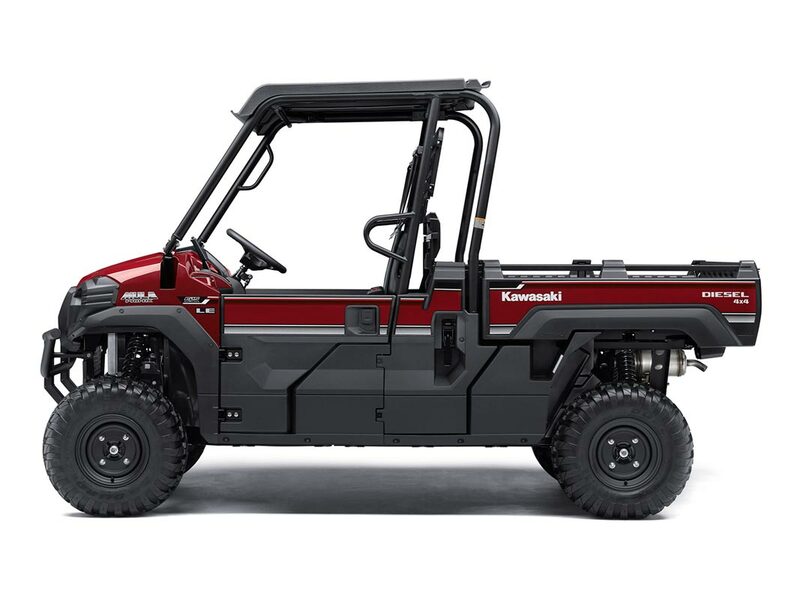 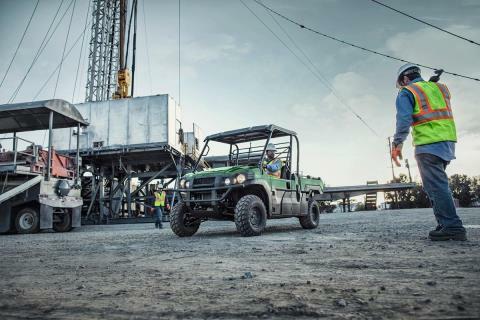 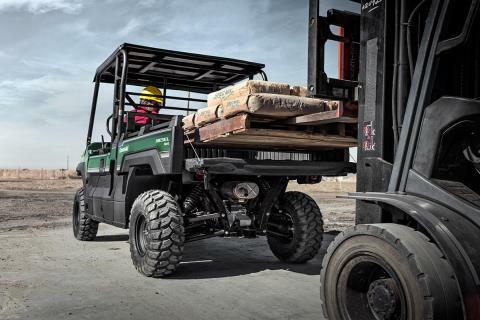 To top it off, the MULE PRO-DX is backed confidently by the Kawasaki STRONG 3-Year Limited Warranty. 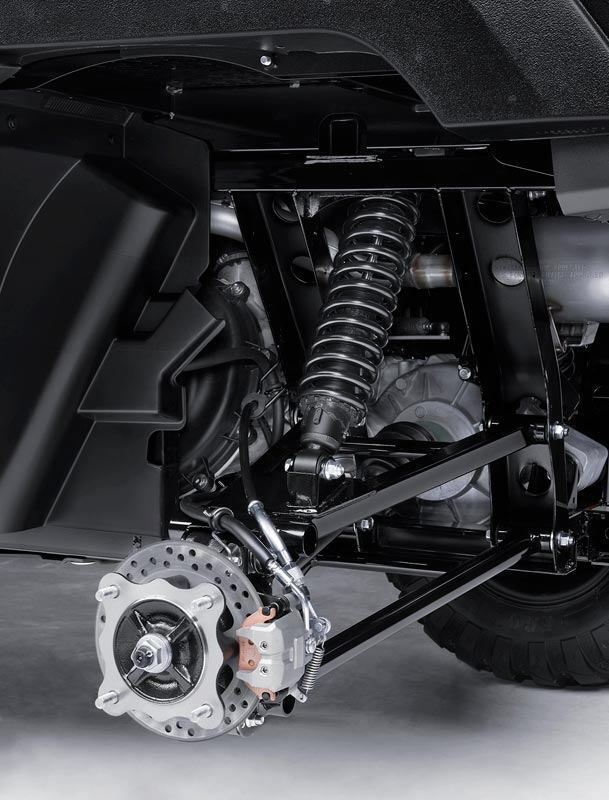 SUSPENSION: Independent front and rear suspension contribute to a smooth, comfortable ride. 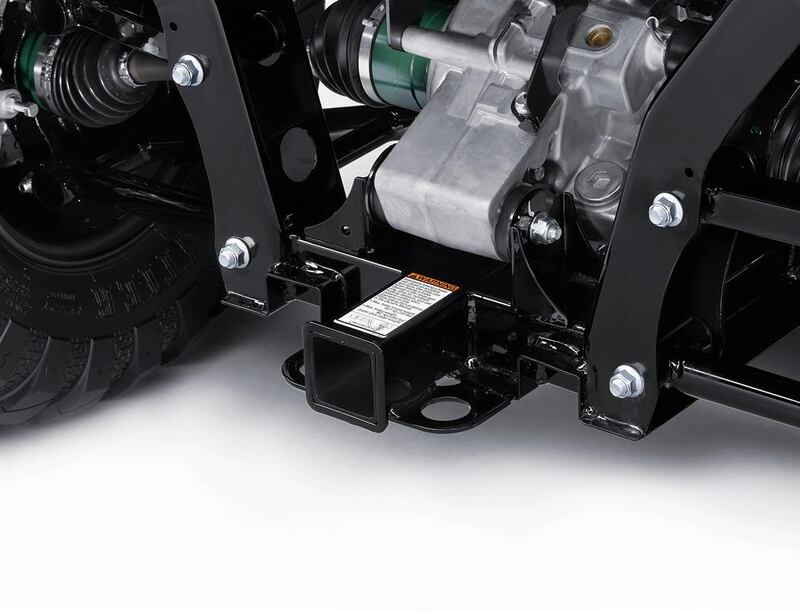 Rubber bushings provide extended life and reduce the need for maintenance servicing. 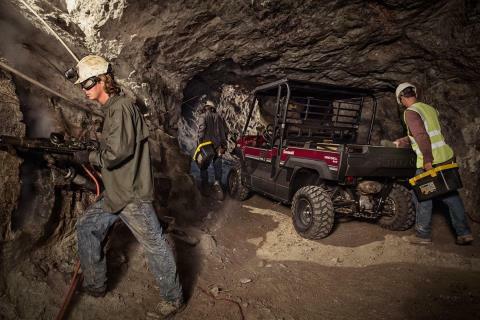 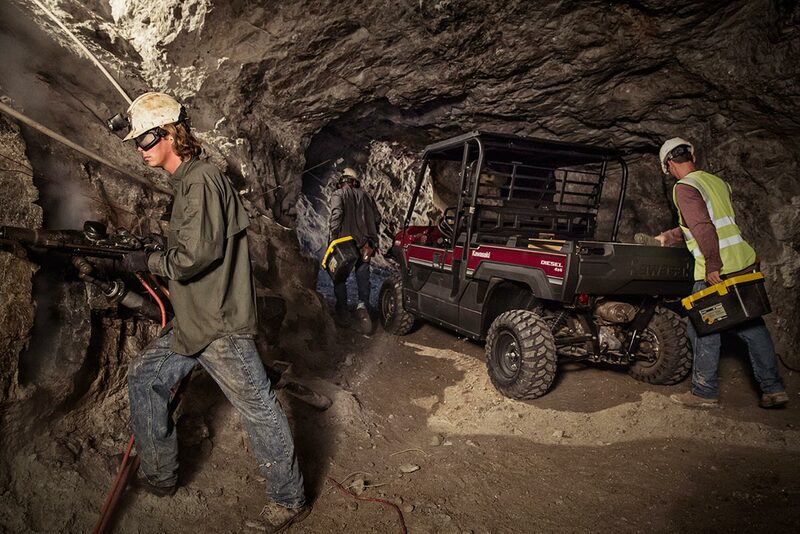 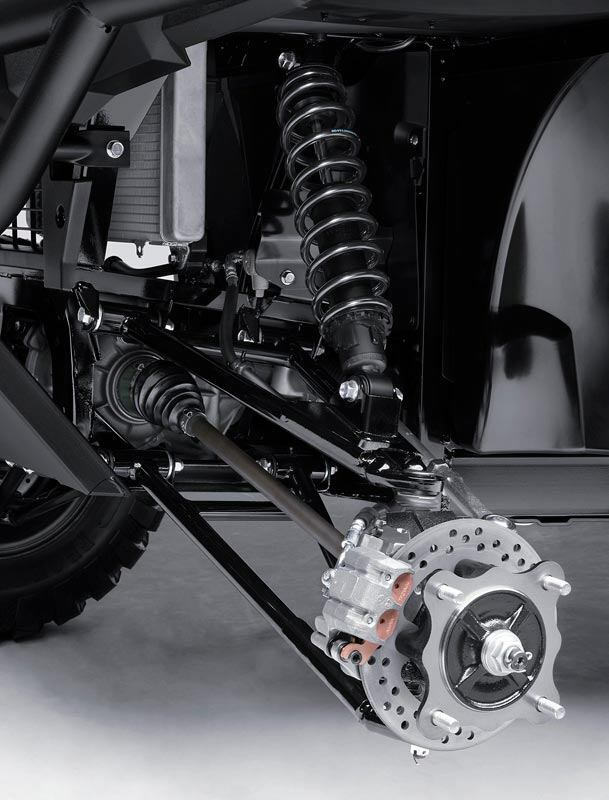 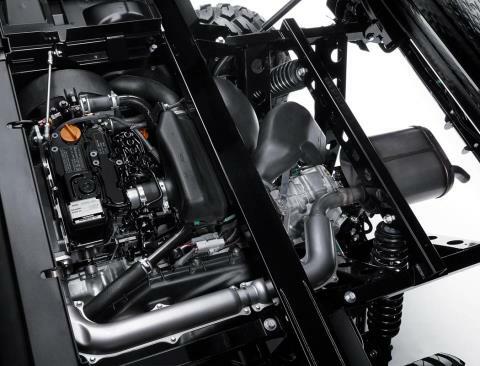 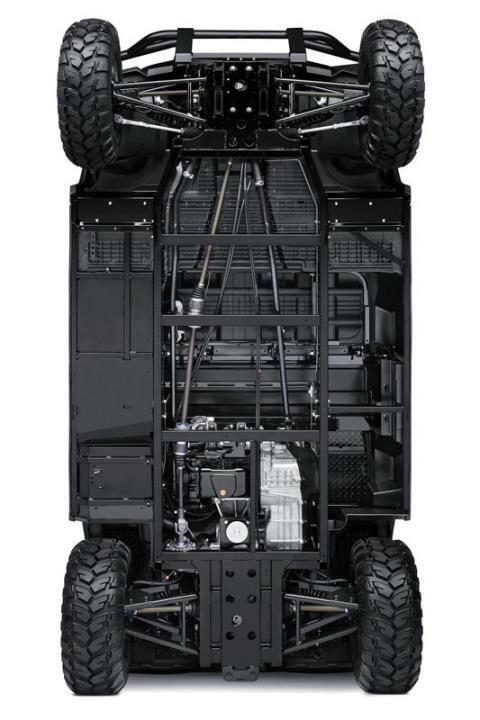 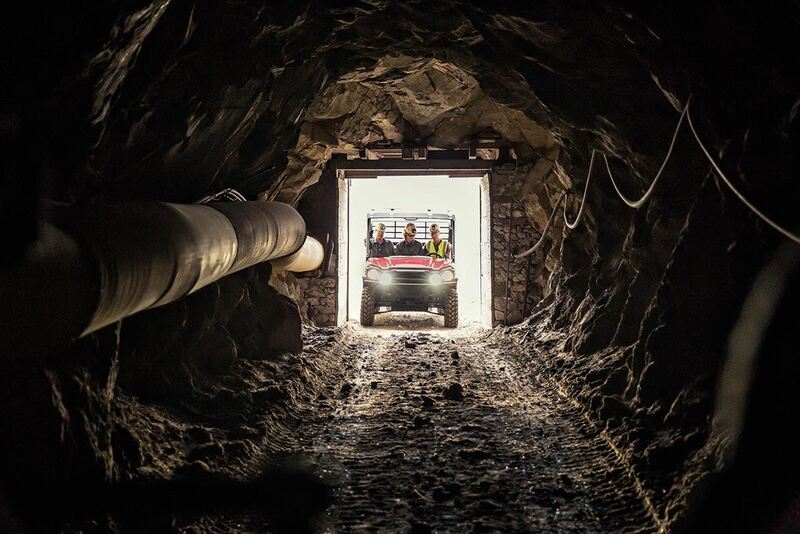 Twin-tube shock absorbers provide excellent bump absorption and handling over rough terrain. 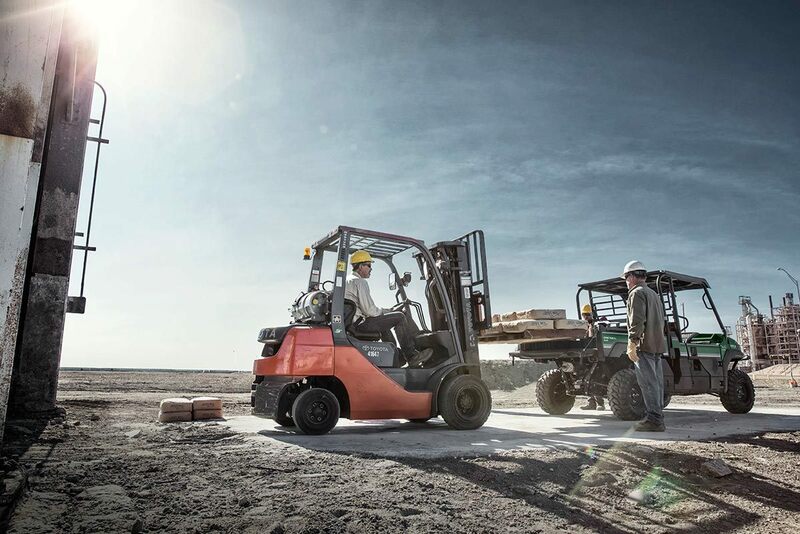 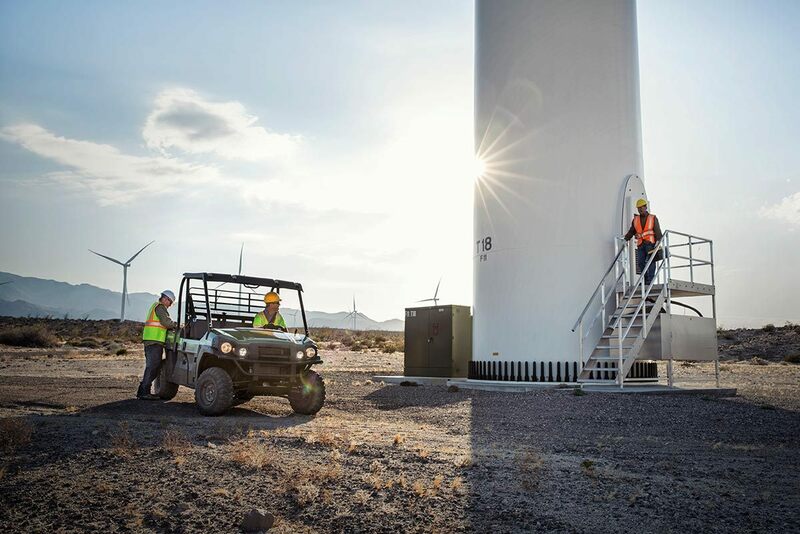 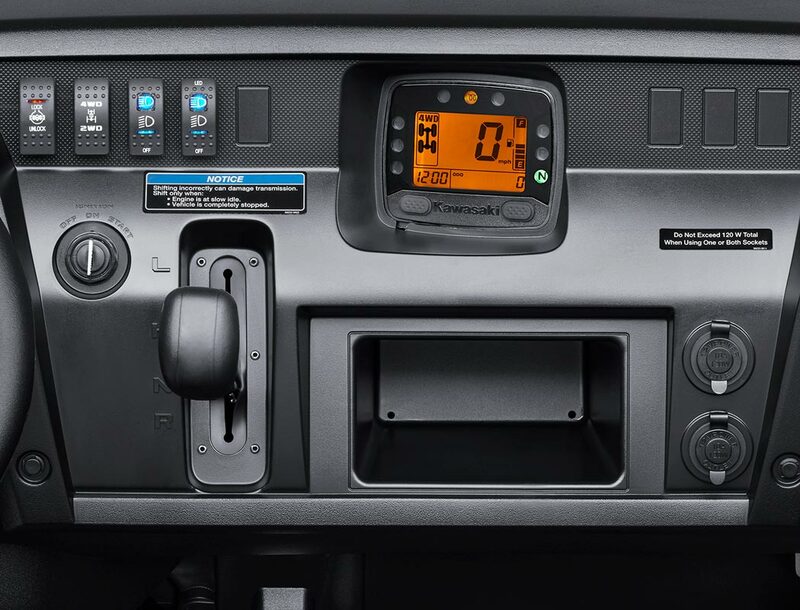 EPS: Speed-sensitive EPS eases steering effort to provide all-day comfort and less driver fatigue. Steering remains light and precise with minimal kickback. 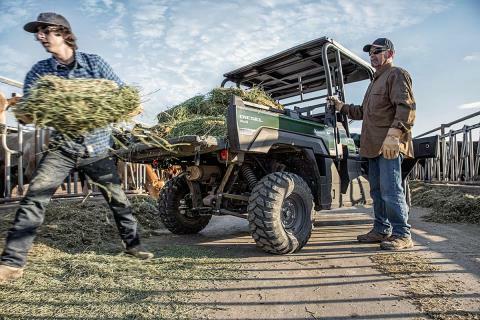 Over-molded padded steering wheel offers added comfort. Tilt steering wheel comes standard on all models. CABIN: Padded bench seat fits three adults comfortably with generous shoulder and leg room. 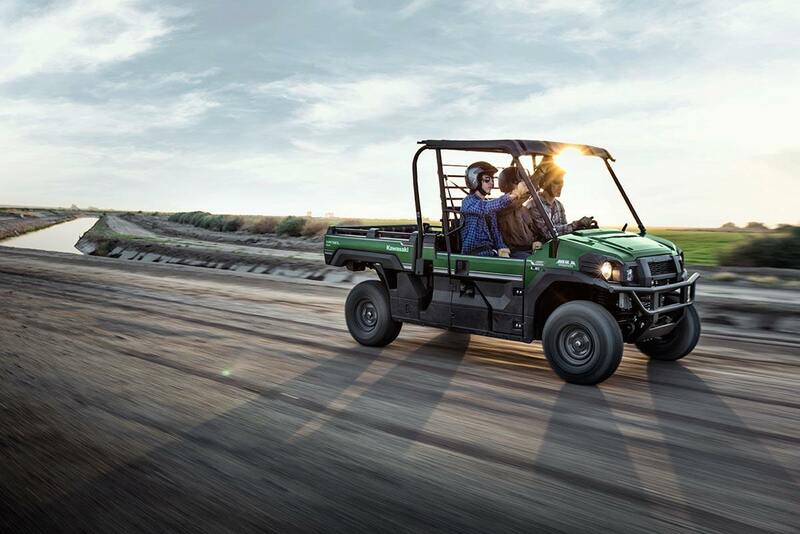 Three automotive-style retractable three-point seatbelts enhancesafety and are easy to use. 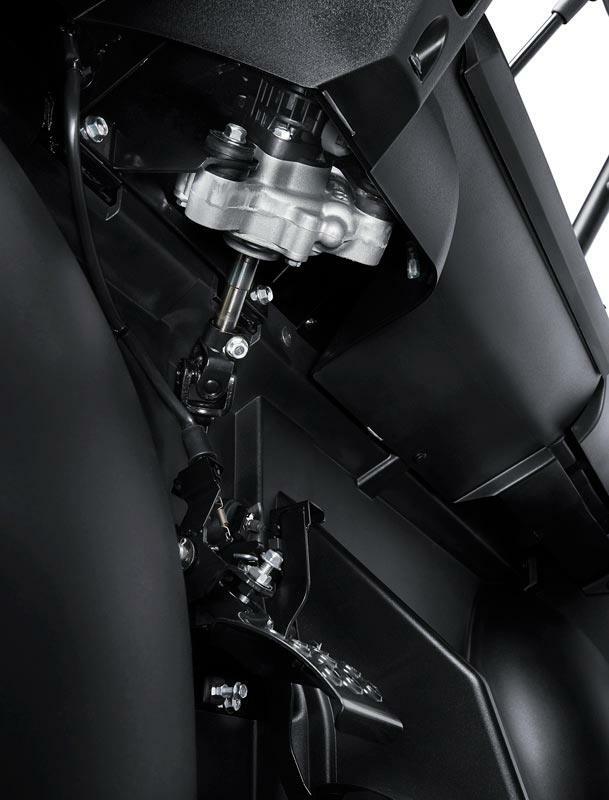 A large storage space under the bench seat is convenient for storing gear, tools, supplies and more. 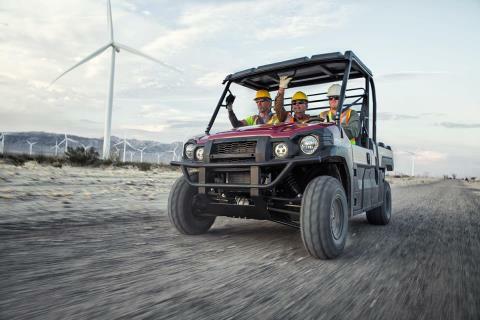 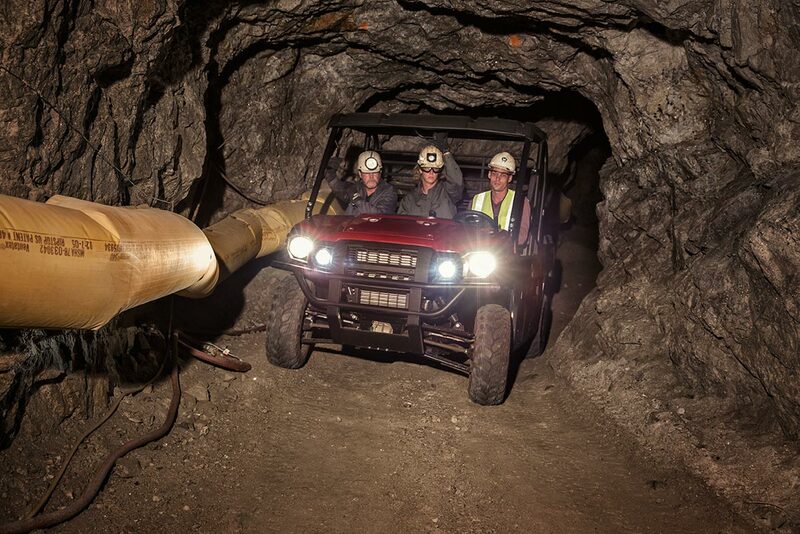 EXTREME CAPABILITY: 1,000-lbs. 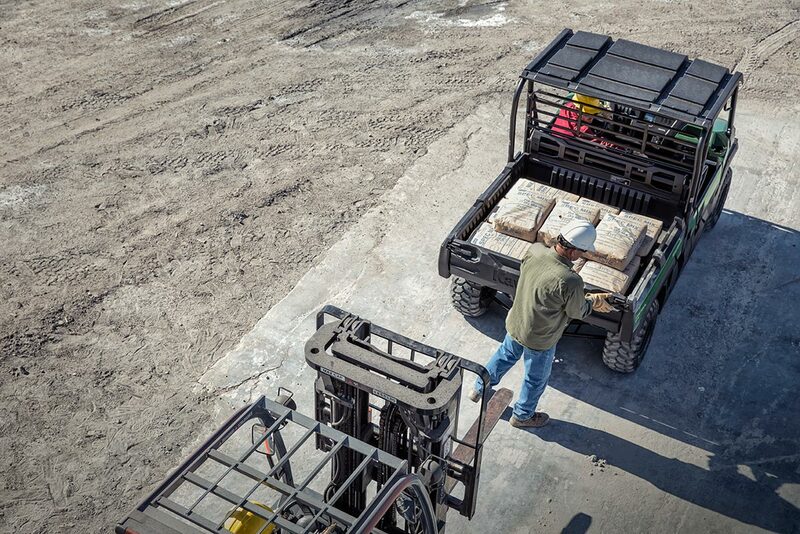 cargo capacity easily accommodates level-loading a standard wooden pallet. Tilting steel-based cargo bed with enhanced durability and hydraulic assist. Two-inch hitch receiver with massive 2,000-lbs towing capacity.